HARRISBURG, PA (November 19, 2018) – Harrisburg Mall has announced the schedule of special event and promotional activities for the upcoming 2018 holiday season, in addition to its roster of seasonal retailers. Located on 3501 Paxton Street in Harrisburg Mall is a one million square foot regional mall with more than 70 tenants. For more information, call 717.737.9422. The seasonal tenants are: Happy Toys, which sells battery-operated children’s toys and splat balls and C&B Entertainment, specializing in the sale of comic books and superhero artwork. Harrisburg Mall is a one million square foot regional mall with more than 70 tenants, including anchor stores Macy’s and Macy’s Backstage, Bass Pro Shops, Destination XL, 2nd& Charles and Regal Cinema’s Great Escape Harrisburg Mall Stadium 14. St. John Properties, Inc., a Batlimore-based real estate development company, owns and manages the property. 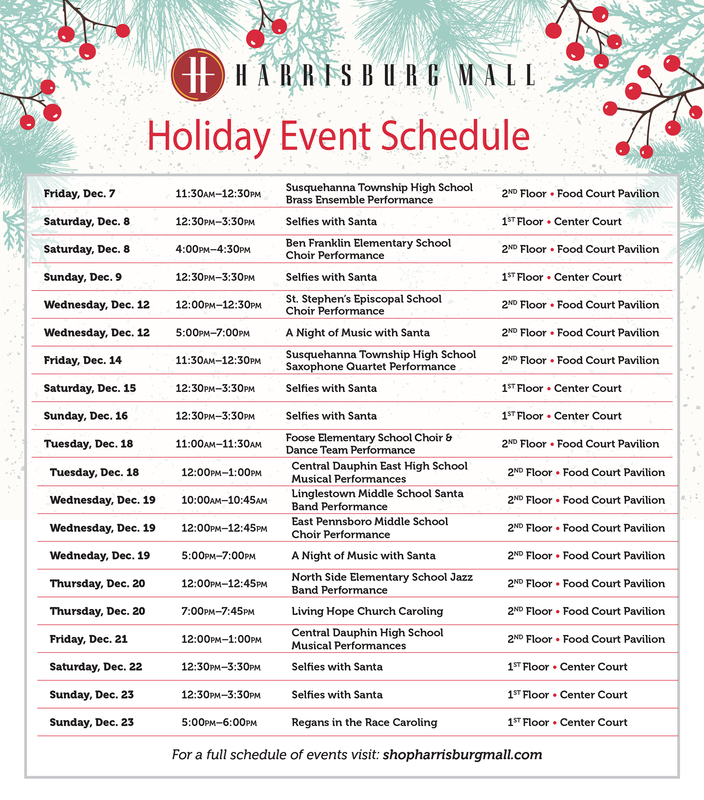 Visit www.shopharrisburgmall.com.